Shuttle launches the new 8 series model-SH81R4 with excellent performance and strong expandability for diverse applications. The SH81R4 is based on an Intel® H81 Express Chipset and supports Intel® Haswell/Haswell Refresh 95W processors. Only 1/3 the size of a tower PC, the SH81R4 features extendibility and provides one PCI-E x16, one PCI-E x1, and two mini PCIe slots. Install multi-display graphics cards, monitor cards, RAID cards, or WiFi modules and drive video wall, file server, network video recorder applications, and more. The SH81R4 is equipped with an 80 PLUS Bronze certified 300W power supply and Shuttle’s exclusive I.C.E. 2 heat pipe technology for highly energy-efficient and stable long-term operation. The SH81R4 supports Intel® fourth-generation Haswell/Haswell Refresh Core™ i3/i5/i7, Pentium®, and Celeron® processors. The Core™ i3/i5/i7 processors are integrated Intel® HD Graphics 4600 support for DirectX 11.1 that are significantly improved CPU or GPU performance. The SH81R4 is equipped with an Intel® H81 Express Chipset. It supports dual-channel DDR3 1333/1600 with maximum memory capacity of up to 16GB (8GBx2). The device supports Gigabit LAN, SATA 6Gbps, and USB3.0 high-speed storage interfaces, providing superb data transfer speed. With the new R6 chassis design, the SH87R6 come in brushed-finish (hair-line finish) black cases. The front panel provides USB2.0 and USB 3.0 ports, 3.5mm audio/microphone input. 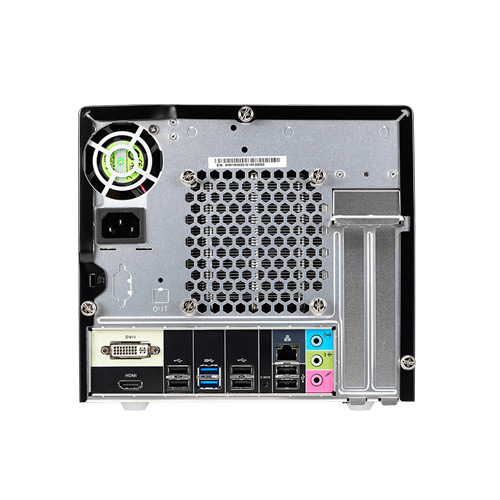 The HDMI and DVI-I output interfaces, with the fourth-generation Core™i3 / i5/ i7 processor, built-in Intel® HD Graphics core, provide on rear panels support two independent displays and built-in 7.1-channel audio, offering users 1080P / Full-HD high-definition video and entertainment enjoyment. The Intel® H87 chipsets fully support the SATA 6Gbps high-speed storage interface. 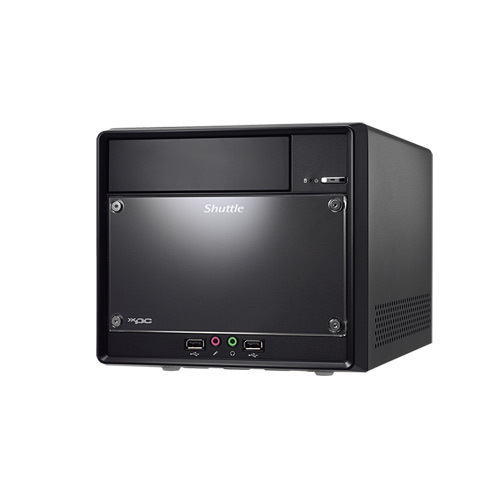 The SH87R6 is equipped with four SATA 6Gbps slots, supporting Intel® Rapid Storage Technology, and RAID 0 / 1/5 disk array operation mode, data access rates can be accelerated or data can be protected when the hard drive fails. 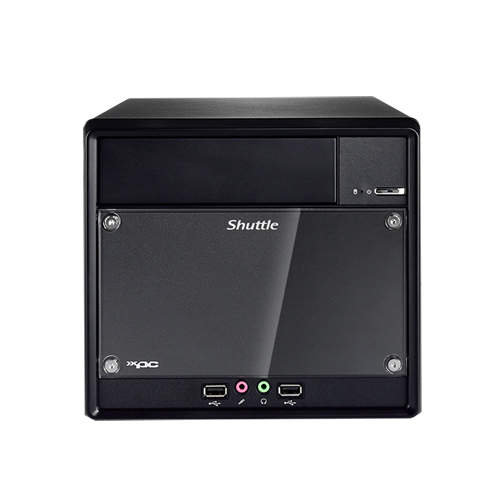 Shuttle SH87R6 features two Mini-PCIe slots. One is a half-size slot supporting a WiFi card. In addition, there is another full-size slot supporting mSATA SSD card to provide more flexible storage options. The Shuttle Smart USB Port is a USB port which allows fast power charging when a smart phone or tablet PC plugin is detected. It is designed to feed power up to 5V/2A (varies with different smart devices) no matter when the system power is on or off. *2A only available for Window XP and Window 7 O.S. The normal charge 500mA applies to other mobile devices and Linux O.S. Allowing XPC to remain under a stable, cool, concise and silent condition, the Shuttle I.C.E heat pipe Technology uses convention cooling to dissipate heat away from and around the CPU. With all the same basic concepts and designs, the I.C.E. copper tubes coated in nickel enhances tube hardness and rust-proof protection are filled with distilled water, effectively channels heat away, providing high efficiency processor and chassis cooling. 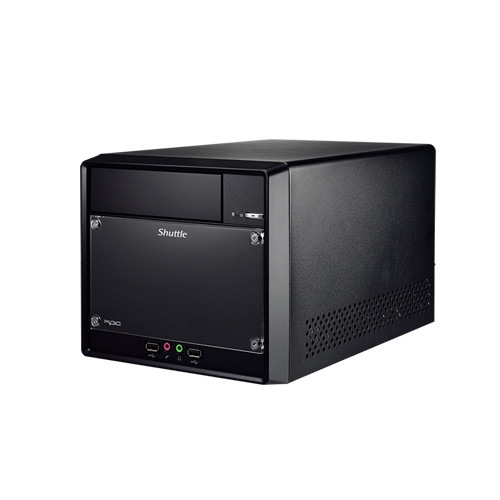 Shuttle SH87R6 is equipped with a 300W power supply of guaranteed by 80 PLUS BRONZE certification that features high efficiency and energy saving. In addition, the power supply uses a 50mm cooling fan providing the same airflow, but spins slower than previous 40mm models to make the system run even more quietly.